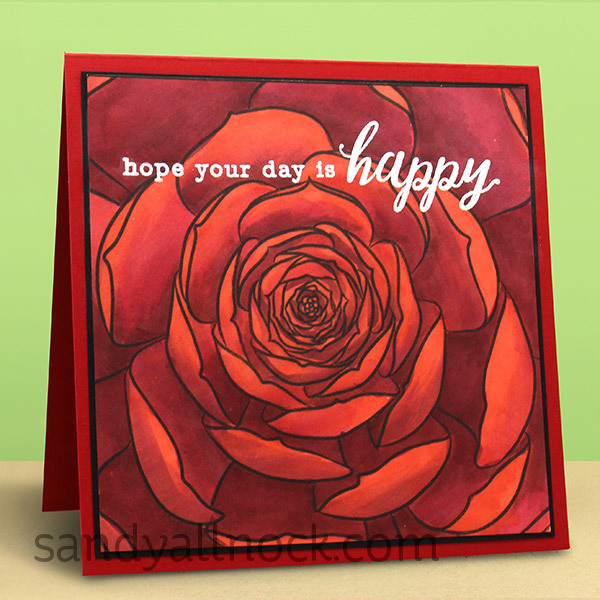 When I saw this stamp, without reading the title – I was sure it was a giant rose closeup. But..it’s a succulent. And a rose! In today’s video, I color both….hope you enjoy it! Watch the video below or click HERE to see it in HD on YouTube. …but isn’t it beautiful as a rose? Thanks, Sandy – that was fabulous! You made it look so easy! 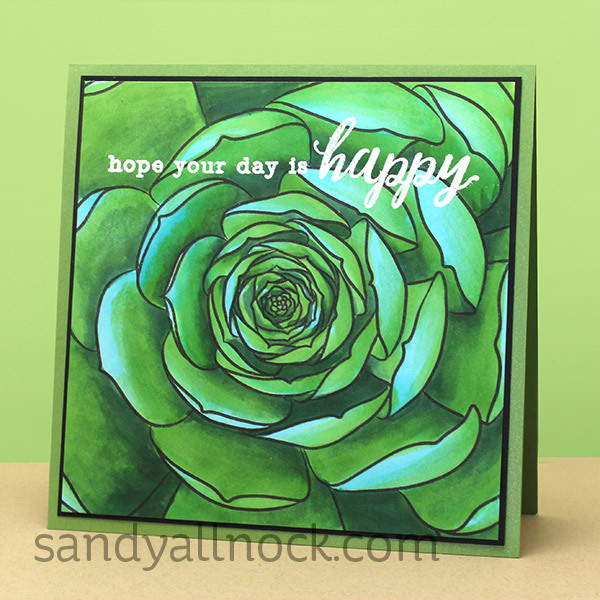 Love the green succulent! 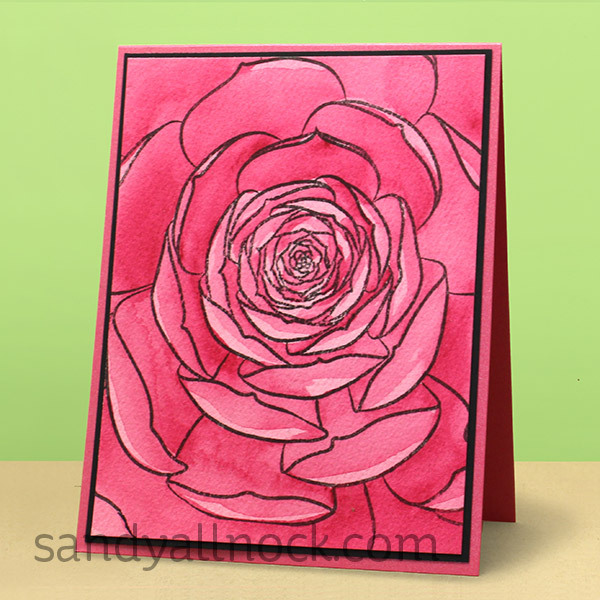 Awesome Sandy, I thought when it came out, before I saw the name that is was a rose. Thanks for making different flowers with this one stamp! Another FABULOUS video! Thanks for all the great tips. 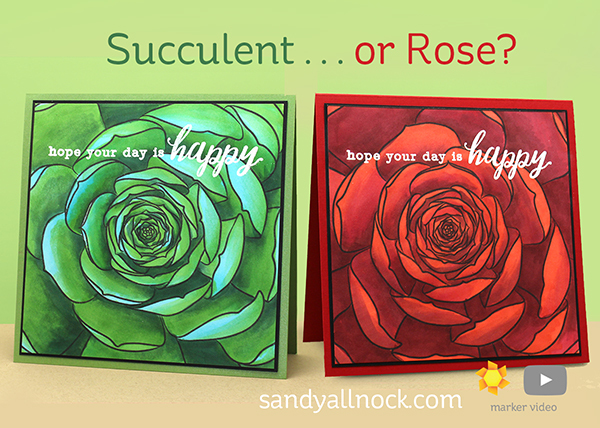 Gorgeous succlent/rose cards! Thanks for the video! So pretty, Sandy. Love that you can use this stamp in different ways. I’ve also been intending to go and colour some succulents, so your video was very helpful. Love the colours you’ve used.